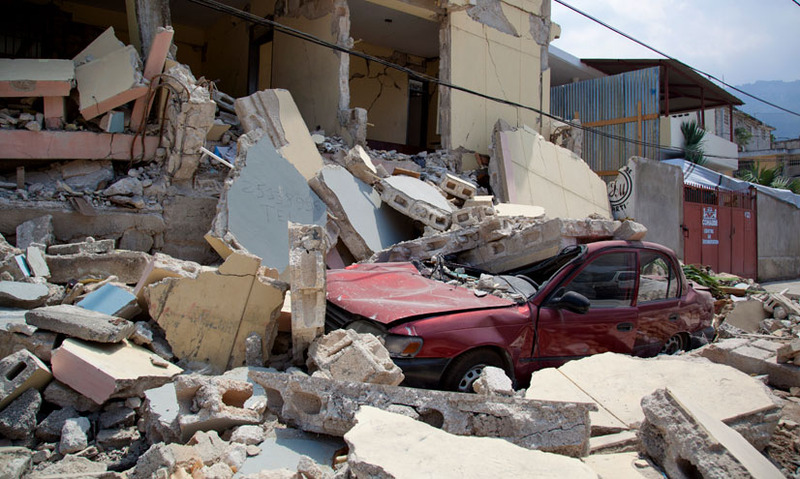 In 2010, Haiti was hit by a devastating earthquake. But the Haiti people suffered most in the aftermath of the earthquake due to their limited capacity, as a Less Economically Developed Country, to respond to the disaster. On 12th January 2010, a magnitude seven earthquake destroyed 97,000 homes in Port-au-Prince, Haiti. As an LEDC, Haiti suffered devastating primary and secondary effects, including water contamination and an outbreak of cholera. Haiti lacked adequate resource to launch an effective short-term response and medical facilities were insufficient. Distribution of financial aid was hampered by logistical problems and long-term responses were slow to take effect, as six months on rubble remained untouched. This is Port-au-Prince before the 12th of January 2010. On that date a devastating magnitude 7 earthquake struck Haiti. Hundreds of thousands of people were killed, injured or displaced. Its force meant that some level of destruction was unavoidable.